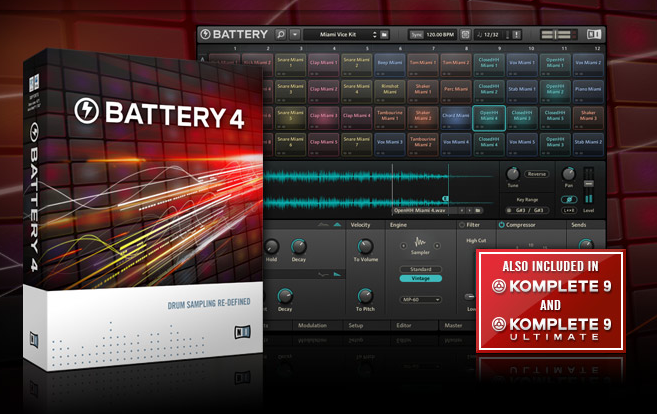 Battery v4.1.4, Kontakt / Kontakt Player v5.4.1 and Reaktor / Reaktor Player v5.9.2 are now all compatible with the new Komplete Kontrol S-Series MIDI keyboards introduced at the beginning of the month. 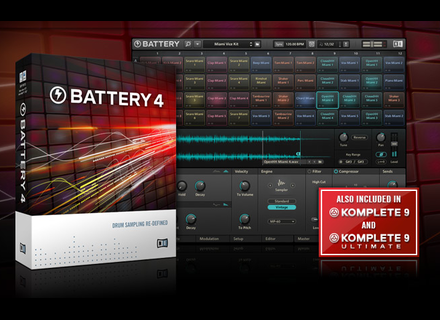 The bad news for Kontakt and Battery users, Native discontinues Mac OS X 10.7 and RTAS plug-in support. The Kontakt update also adds two new features: a snapshot system for the Instruments and the ability to store .nka files to the ressource container (load_array mode 2). CPU performance for some elements were also improved. The Reaktor update adds two new Automation and HW Control modules. Last, the three updates fix some bugs. Impact Soundworks Rhapsody for Kontakt Rhapsody: Orchestral Percussion, Impact Soundworks’ new sound library for Kontakt, provides everything for classic and exotic percussion projects. The Ircam Lab TS now in final version on Mac The Ircam Lab announces the release of the final version of their TS time-stretching and transpose software, but only on Mac OS X.
AcousticsampleS models a Gibson Humming AcousticsampleS chose a 1962 Gibson Humming acoustic guitar for its new sound library for the UVI Workstation.